On paper this sounds awesome, because I love the idea of an international femme fatale with life-saving hands who is driven to fight for her country. Lee Young-ae will be reuniting with PD Yoon Sang-ho, whose biggest credits are Legend and Saimdang, Light’s Diary—both of which are not anywhere near the top of my Best Sageuks list—but what gives me hope is that the production company that’s been affiliated with the project, High Conversation Producer, has actually created some decent to excellent projects like Jumong and Hwang Jin-yi (but also the stinker Doctor Stranger). The script for Different Dream is currently being written by a team of writers that includes Jo Gyu-won, who was one of the main writers on IRIS and IRIS 2. As of yet, no other actors have been officially attached to the project, but filming is expected to begin sometime next year. This could be interesting. Was hoping for a pure modern day drama, but I haven't seen anything set during the Imperial Japanese colonization era. Was Saimdang, Light’s Diary really not that good? It's still watcheable for me, but with the hype, budget and this was also Lee Young-ae's comeback drama, the decrease of the rating instead of maintaining the high rating at the beginning explained why it's not that good - mainly due to poor execution. Maybe if it is set up fully in Joseon, just like normal sageuk, viewers will be more interested. The best part of SAIMDANG may have been Yang Se-jong's performance in both timelines. It was a blast to see Dr. Do In-bum morph into an artistic royal madly in love with young Saimdang, only to be thwarted by court politics. The adult Lee Gyeom was nicely played by Song Seung-Heon. In the present day, his character was a live-wire grad student in art history who moonlighted as a disk jockey at a club. The Joseon story was very well done, and prompted me to watch SEVEN DAY QUEEN, which is set during the following reign, IIRC. The cinematography was gorgeous, in particular during the landscape painting interludes. Alas, the modern timeline didn't gel, although it had some truly beautiful scenes set in Tuscany. If the plot had been better engineered and executed, it could have been epic. Sigh. This sounds really interesting but the question is can it be executed well? Anyway, I hope the writing will be at least decent, if it is not a masterpiece. No, it is not the same drama. The PD had other drama in works and wanted to cast Song Seung Heon (the drama has supposed to be set in late Joseon, about a face reader) and now he has plan for a spy melodrama with Lee Young Ae. I am more intrigued by this drama and I wonder who will be the male protagonist. Maybe we can finally have Hyun Bin back in dramaland with Lee Young Ae. Love her and would like to see her as much as possible in dramaland, so.......truuuuuly hope this one hits daebak. This does sound interesting! It's the historical period I have been reading about for several months. she and Kim Hee Ae have such lovely elegance, i wish they'd both be in a drama together... perhaps as sisters? This sounds awesome. I just hope it turns out as good as it sounds. This is a time period that I wish would get shown in dramas more often. I guess Lee Young-ae is eager to erase the flop that is Saimdang. Hopefully this would be a good drama for her. Also, 2018 is shaping up to be a great year for K-drama land again; with this, Mr. Sunshine and Kingdom. There's also Live by Noh Kee-kyung. Sounds really great. I hope they cast amazing cast here. Can I expect Jung Woo Sung, Kim Rae Won, Yoo Ji Tae? Jung Woo Sung will be great, but I think he's too big a movie star to return to dramaland. Kim Rae Won & Yoo Ji Tae have upcoming drama soon so I would rule out both. Maybe they could cast Jang Hyuk since he's in IRIS or Kim Myung Min anyone? Jang Hyuk now busy for a weekend drama, which very very long. Kim Rae Won & Yoo Ji Tae have more chance to cast. Glad to hear that! I'm scared MBC very very long and very makjang dramas. I checked info again and it's stills 50 eps. 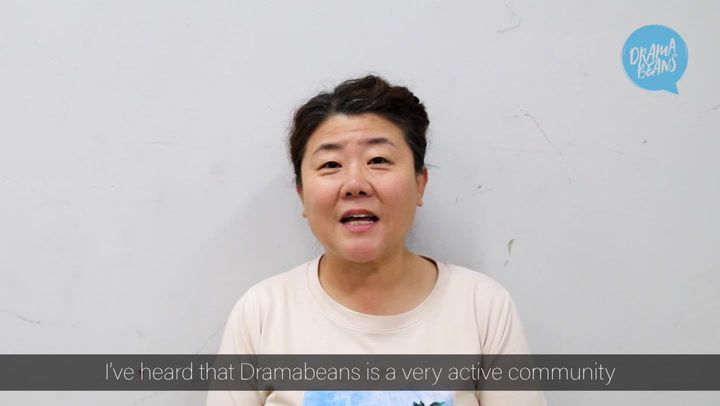 No one is too big for dramaland (maybe except for the super elites like Song Kang Ho, CHoi Min Sik,...) Even Cannes queen Jeon Do Yeon made a drama comeback so every option is possible. I agree. Those two are the face of Chungmuro including Ha Jung-woo, Hwang Jung-min, Sul Kyung-gu, Kim Yoon-seok, Ahn Sung-ki who has been in over 100 films and no drama. Jung Woo Sung is not any bigger than Lee Young-ae except that she has been inactive for a long time. Since late Joseon/Imperial Japanese period drama is rare, I'm interested how this drama will fare. But I'm not sure with PD-writer combo.. I just hope it worth every penny 'cause it's Lee Young Ae we're talking about!! Please be good, please be good (the script, I mean). Saimdang was a letdown so I'm glad she moves on to the next project quickly. For the male lead, I hope it'd be someone of her age range. Either Shin Ha Kyun, Lee Seo Jin or ideally Ji Jin Hee would be awesome.